Promoters TEG-Dainty aren’t mucking about with venues for the upcoming Queen + Adam Lambert tour, which will see them become just the fourth act to hit the 60,000 capacity Optus Stadium on Sunday, February 23, 2020. To put that in perspective, it’s around four times the size of their past two WA tours to RAC Arena. Indeed, the soaring success of the film Bohemian Rhapsody, the highest grossing music biopic of all time, has proven the love for Queen remains as strong as ever. 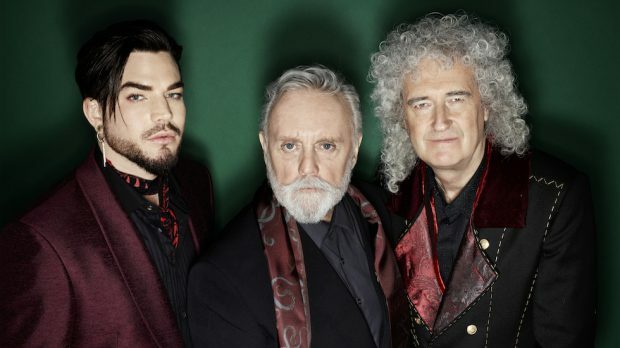 Lifelong Australian fans and new converts can expect Queen original band members Brian May and Roger Taylor teaming up once more with frontman Adam Lambert on lead vocals and returning to Australia with a brand new, spectacular production. And based on their previous visits, spectacular is an understatement. Biopic Bohemian Rhapsody topped the cinema box office in more than 35 countries around the world since its late October release, drawing worldwide box office receipts approaching $900 million. The excitement the film inspired also saw Queen propelled back on to the music charts, where they hit No. 1 on Billboard’s Artist 100 Chart, reminding fans why they loved them and dazzling the previously-uninitiated. Bohemian Rhapsody is officially the world’s most-streamed song from the 20th century. Indicative of Australia’s enduring passion for Queen – the Bohemian Rhapsody soundtrack spent four weeks at #1 on the ARIA chart and now enjoys Platinum status. Queen additionally achieved the rare feat of boasting three separate albums in the ARIA Top 5 – for five weeks this year. When Freddie sang The Show Must Go On all those years back, he probably wouldn’t have guessed Queen music would still be thrilling audiences in 2020. Queen + Adam Lambert play Optus Stadium on Sunday, February 23, 2020. Tickets go on sale from www.ticketek.com.au on Monday, April 15 with staggered on sale times from 10.30am AEST.